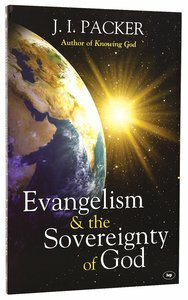 This entry was posted in God, Richard Phillips, Sovereignty, The Expositor on 23 July 2018 by Michael Corley. “I will be gracious to whom I will be gracious, and will show mercy on whom I will show mercy” (Ex. 33:19b). Arminians (semi-Pelagians) know the Lord is all-powerful (Job 42:1–2) and can stop or start any event if He so desires. Arminians also affirm the Creator’s complete knowledge of the future (Isa. 46:8–10) even if they do not attribute causation to God in the same sense that Augustinians (Calvinists) do. Therefore, Arminians, no less than Calvinists, believe the Lord foreordains all things. For example, if God knows He will stop me from wearing every shirt I own today except my green one, then the Arminian has to admit that I must wear my green shirt. The event is established; it is foreordained. This entry was posted in Ligonier, Sovereignty, The Expositor on 30 September 2015 by Michael Corley.